What do you get when you combine SpringHIll Camp staff and volunteers with a Christmas party? You have lots of fun and celebration. And our Michigan based staff and volunteers along with their spouses had a blast this week at our annual Christmas get together. Joel Hamilton proud of his plate. Dina Wetters, our HR Administrator, along with some other staff and volunteers (and I think her husband Aaron get’s roped into it as well) organize this event every year. Every year it’s a bit different. But a few things have remained the same, every year it is fun (have I mentioned that all ready? ), we play at least one game (remember we are camp people), we sing at least one Christmas carol and of course we celebrate the birth of our Savior Jesus Christ. Eric and Amanda Woods and Andy and Kate Hust competing for the price. Craig and Sarah Soderdahl singing their hearts out. I love Christmas and Christmas celebrations and I especially love this one because of who I am celebrating with and how much fun we have together. How long till next year’s party? Clarence Hogan, Elizabeth Wing & Melissa Wilke enjoying the moment. 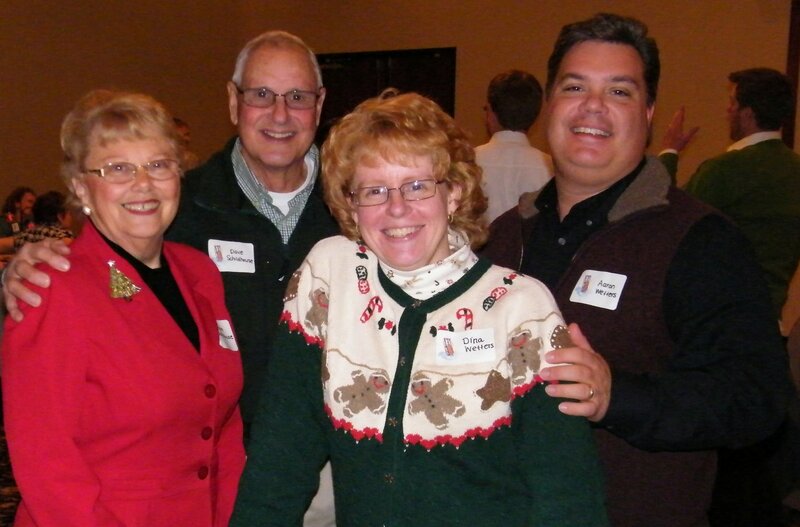 Volunteers Dave and Sue Schildhouse with Hostess Dina Wetters and her husband Aaron. Thanks to Amanda Thompson for providing the great photos. Connect with the SpringHill Facebook page to see more great photos.